After waiting months to find a pot of Provamel Soya Coconut yogurt, along comes another from Alpro. For some reason, Alpro have launched exactly the same new flavours as Provamel, with their new soya yogurts – Coconut and Almond. 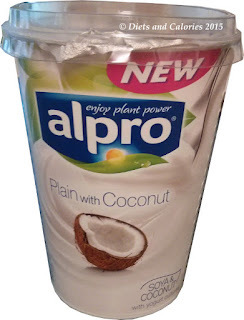 Since I didn’t like the Provamel Almond, I decided to forgo the Alpro Almond too, and just purchased the Coconut variety. So how does it compare with Provamel? Unlike the Provamel Soya Coconut Yogurt which is sugar free, Alpro's is sweetened with sugar. However, it’s still low in calories with just 55 calories per 100ml compared with Provamel's 50 calories. Peeling off the lid reveals the familiar soya yogurt off white colour. I can’t smell any coconut though. 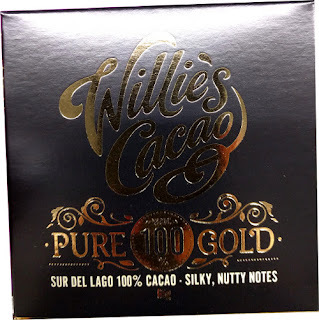 And when I taste it, I have to admit, if this was a blind taste test, I couldn’t be sure what flavour I was experiencing. It was certainly sweet enough to eat on its own and the texture is indeed incredibly ‘silky’. I prefer this to Alpro’s plain soya and if there was a choice between the two, I’d go for the coconut. 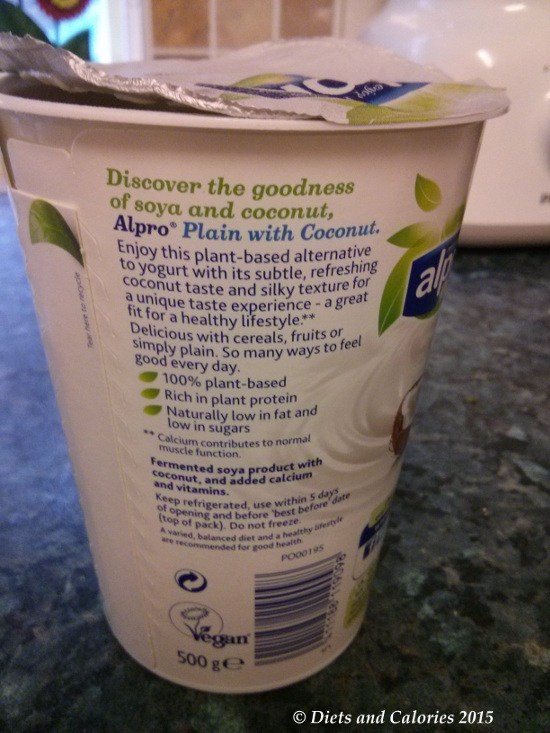 However, it could do with a stronger coconut flavour, if only to mask the soya taste a bit more. 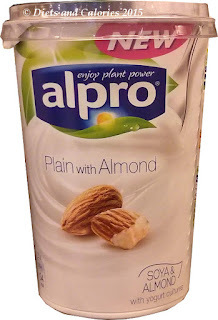 Thinking about it, I might just give the Alpro Almond Soya yogurt a try, as I found the Provamel Almond too strong, too much like marzipan. With a muted flavour, the Almond might be OK.
Alpro’s Soya yogurts are widely available in the larger supermarkets (unlike Provamel which is difficult to find)! The price at the time of writing is £1.79 for a 500g pot in Tesco. Nutrition information per 100ml: 55 calories, 3.0g fat, 1.1g saturates, 2.3g carbohydrates, 2.1g sugars, 3.9g protein, 0.8g fibre, 0.32g salt. Calcium 120mg. 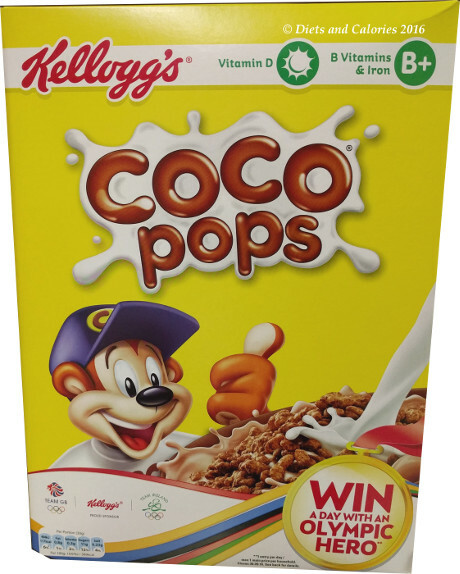 Did you prefer the alpro or Provamel coconut? I liked the alpro too but have just found ocado is stocking the Provamel variety so thought I'd give that a whirl! I haven't tried the Provamel almond but I didn't like the alpro one because I also found it tasted marzipanny! 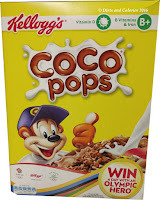 Hi Fran, I actually prefer the taste of Provamel's Coconut over Alpro's as it has a stronger coconut flavour. I haven't tried the Alpro Almond though. Thanks for your comment.